New observations with the European Space Agency's XMM-Newton satellite uncovered the chimneys. The researchers “have done a fantastic job to demonstrate these very distinct features,” says astronomer Daniel Wang of the University of Massachusetts Amherst. Previously, hints of such structures have been found using Japan’s Suzaku X-ray satellite, he says. 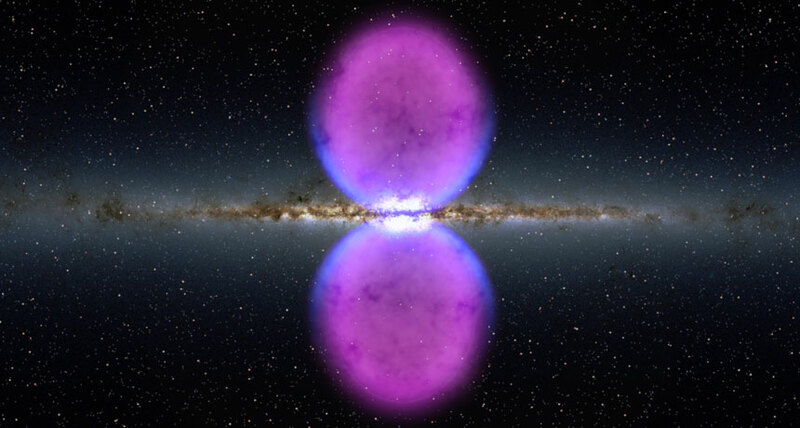 The chimneys, which are each about 300 light-years wide, could be funneling energy from the galaxy’s center to the gamma-ray bubbles, says astronomer Mark Morris of UCLA, a coauthor of the new study. “One way of looking at it is they are exhaust vents,” through which energy escapes.